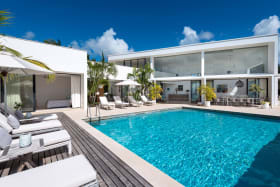 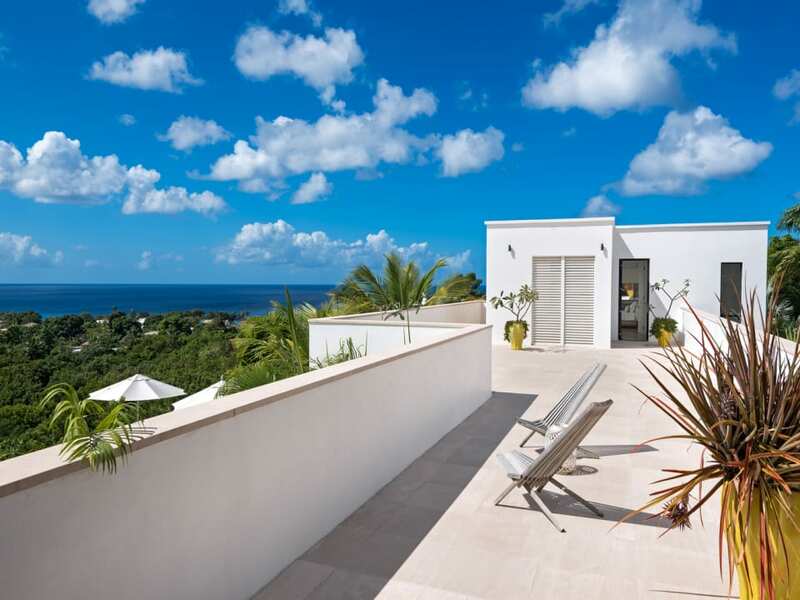 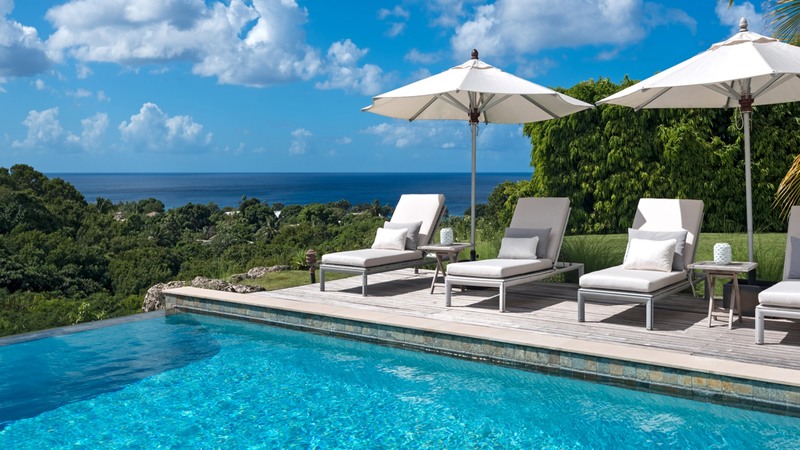 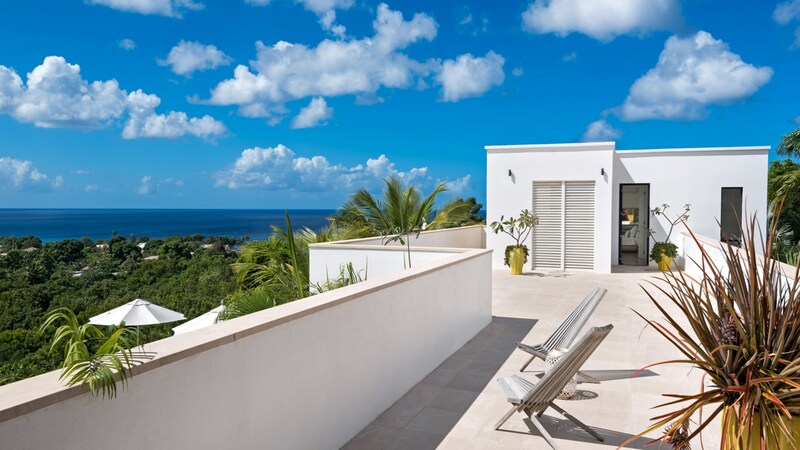 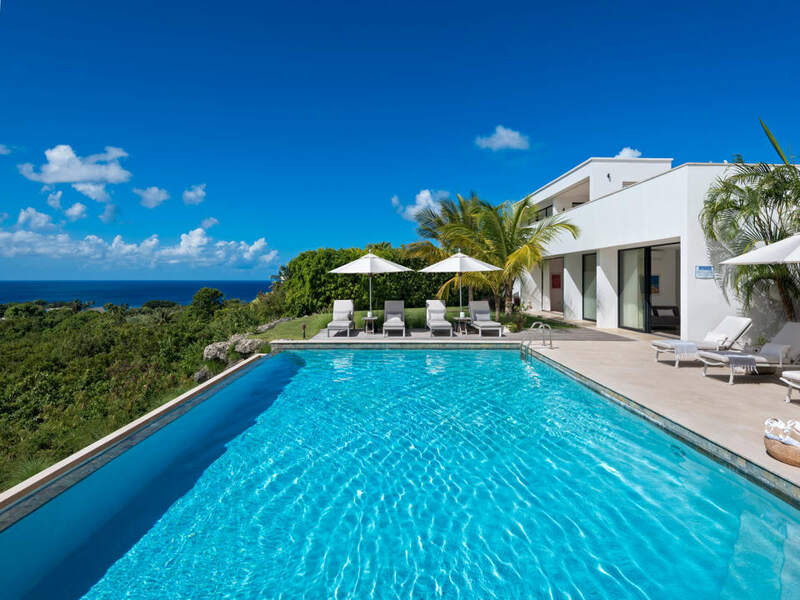 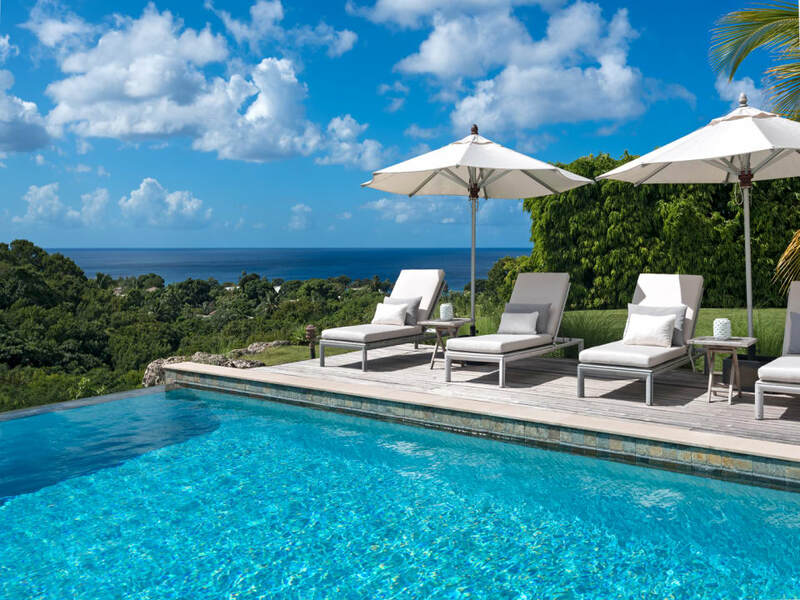 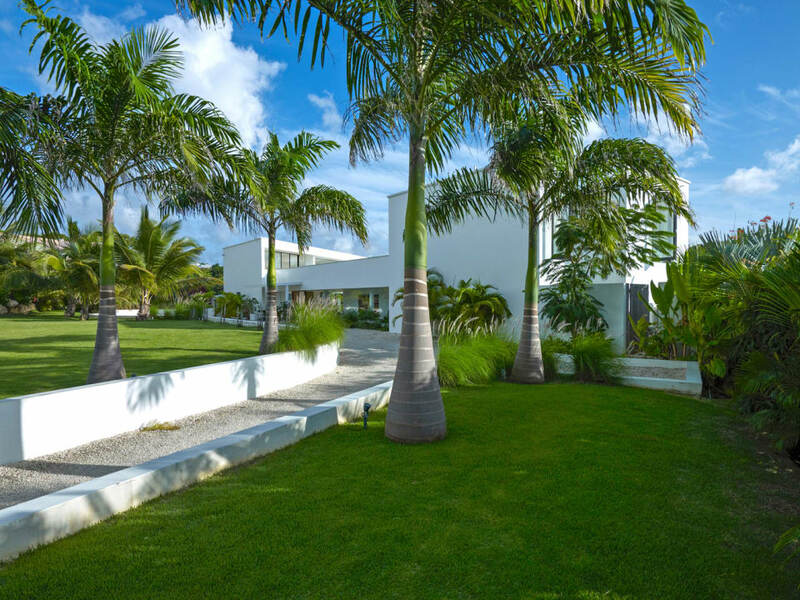 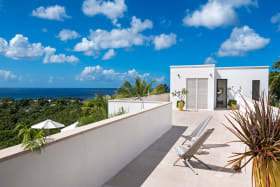 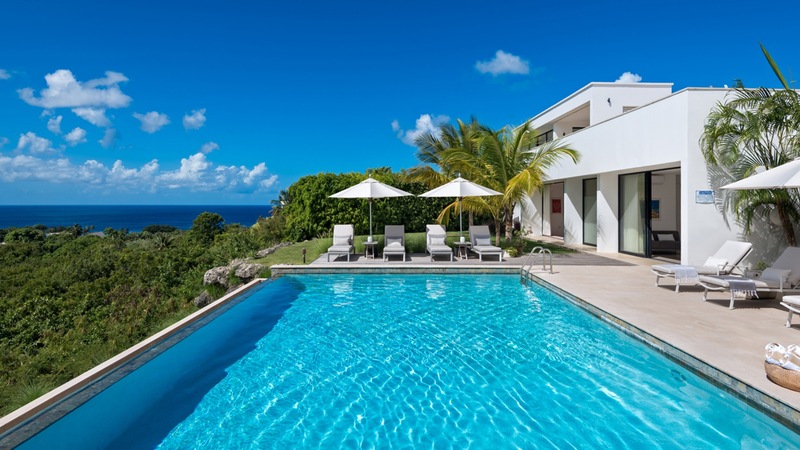 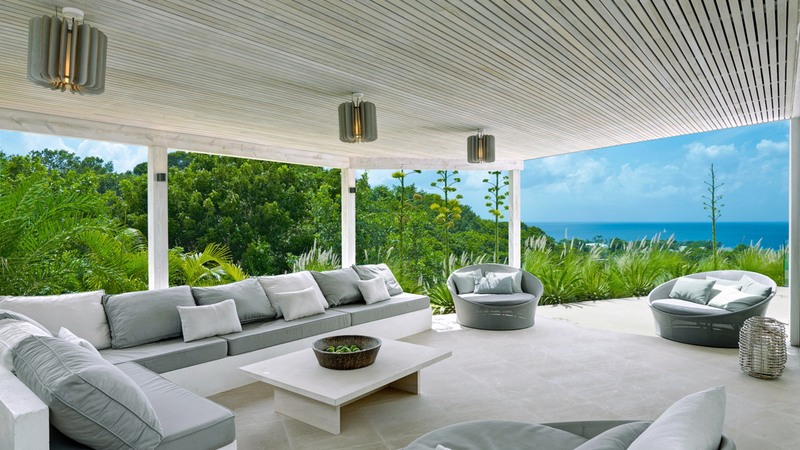 Sitting on a ridge above the west coast of Barbados with dramatic views out to the ocean, Atelier House is a stunning Caribbean retreat. 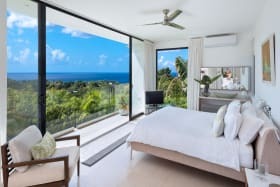 Sitting on a ridge above the west coast of Barbados with dramatic views out to the ocean, Atelier House is a stunning Caribbean retreat. 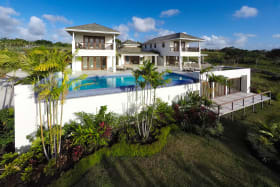 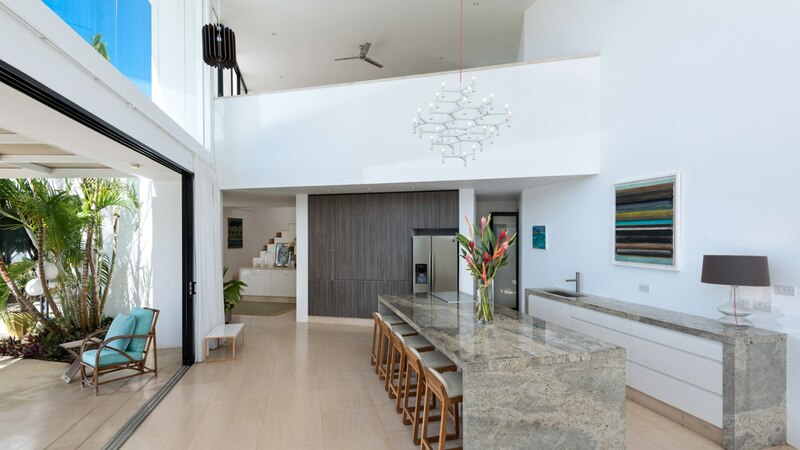 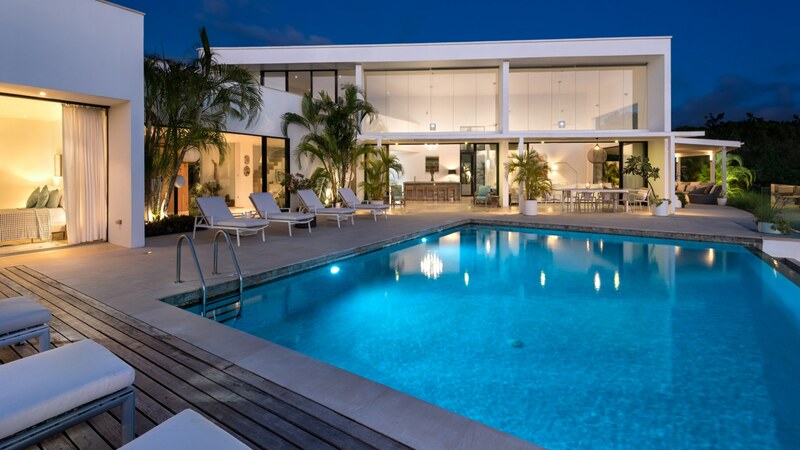 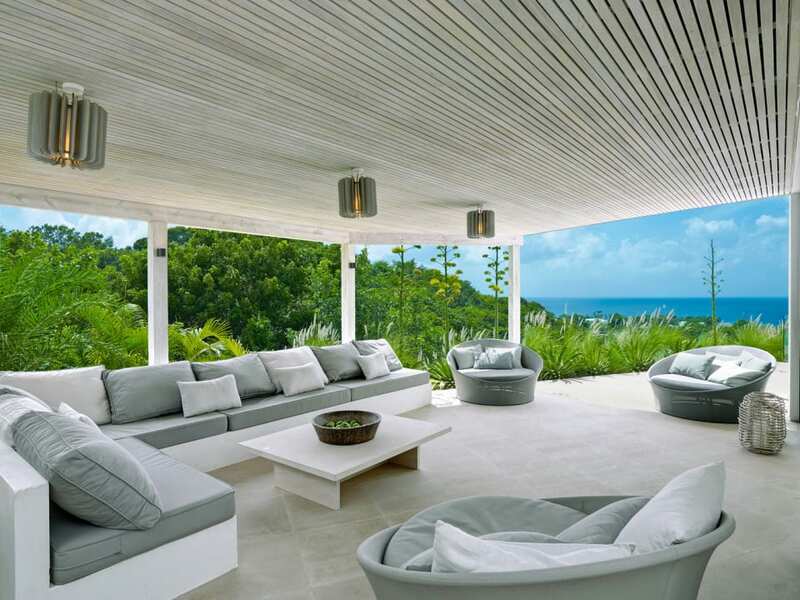 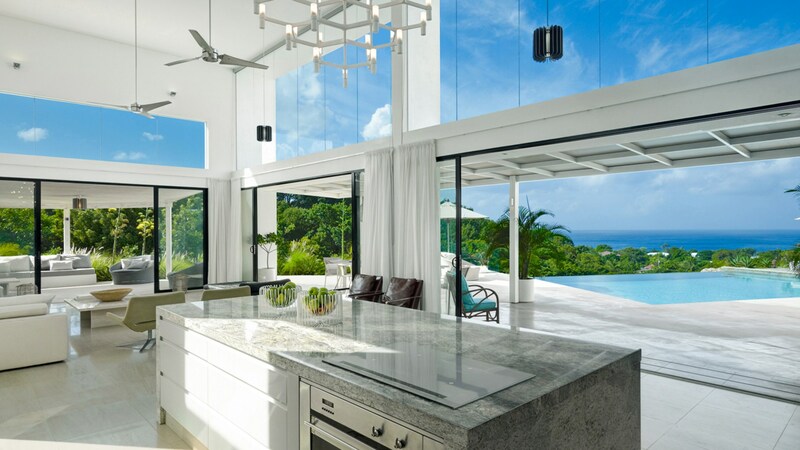 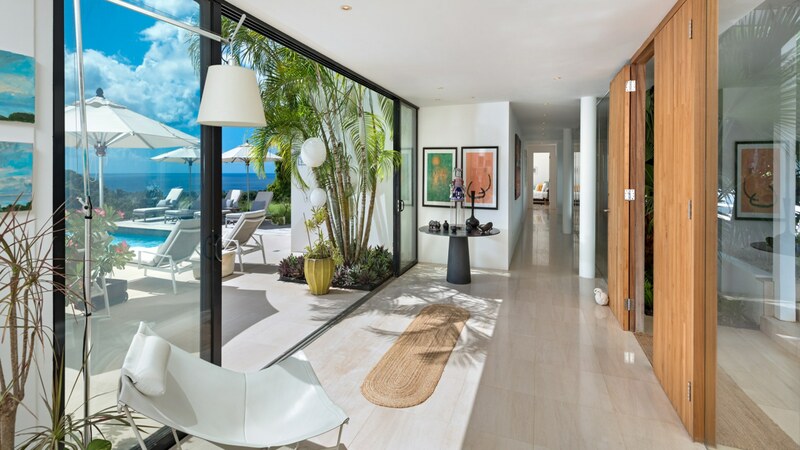 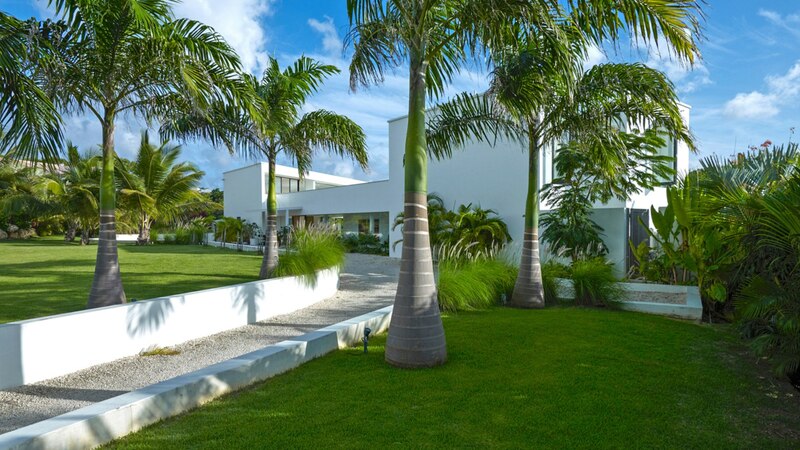 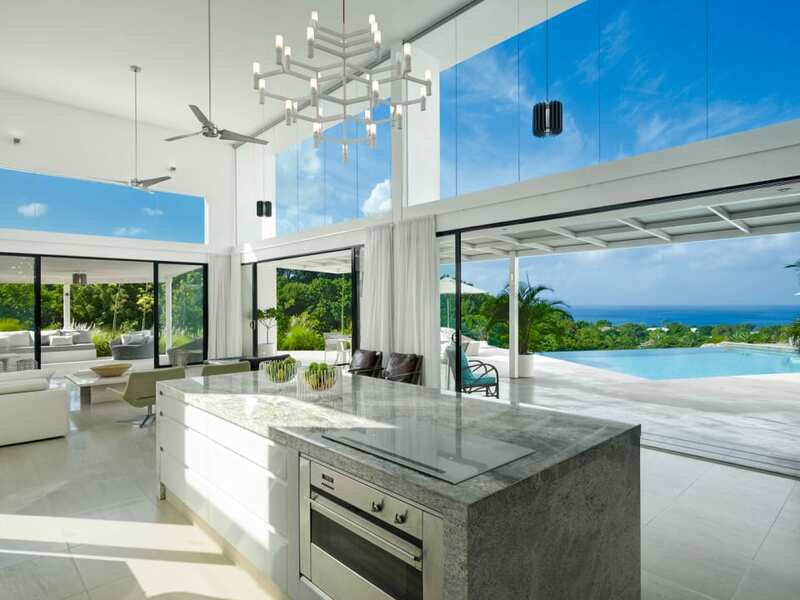 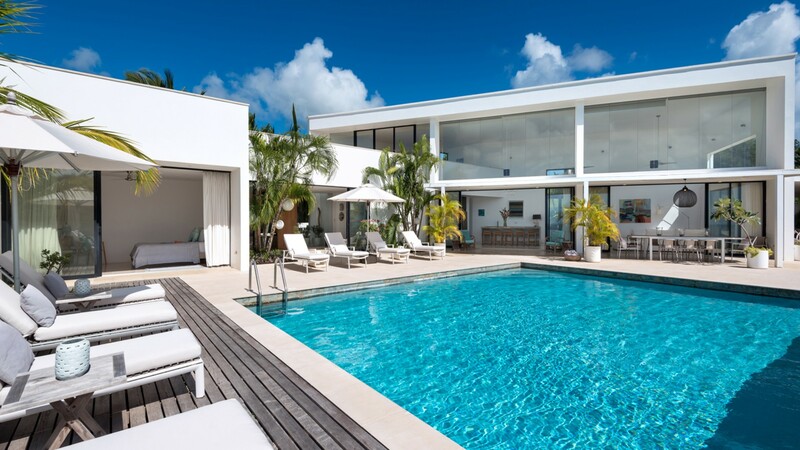 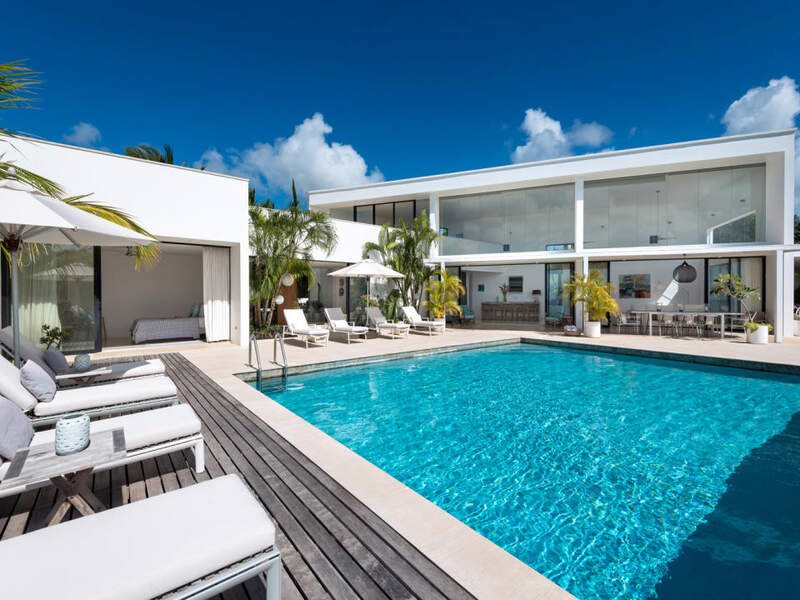 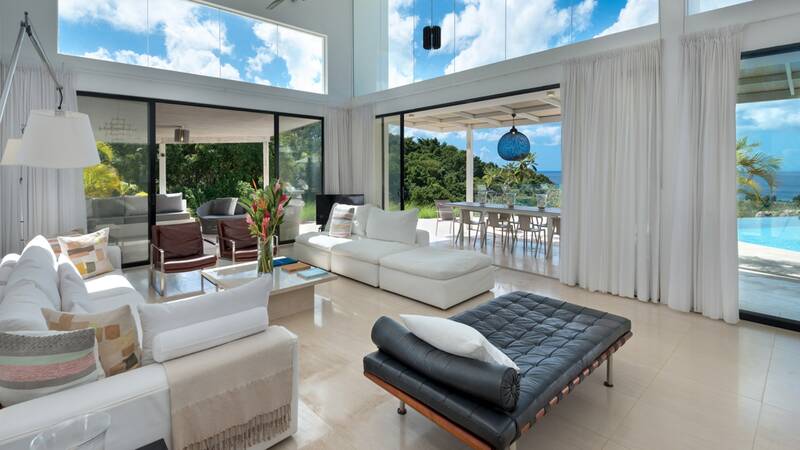 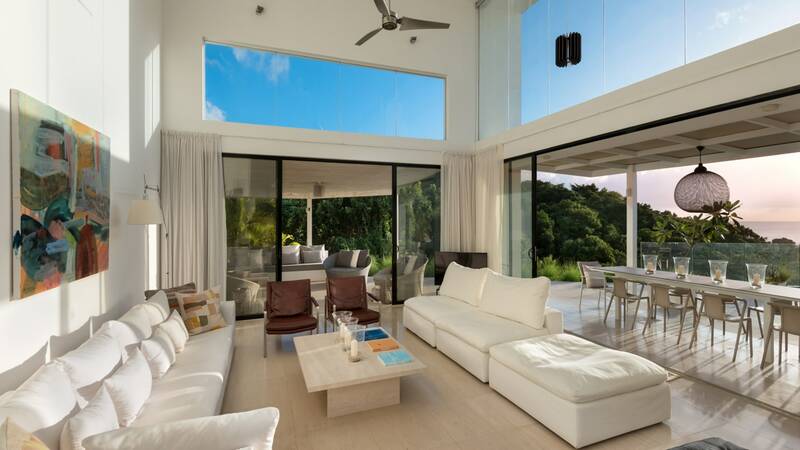 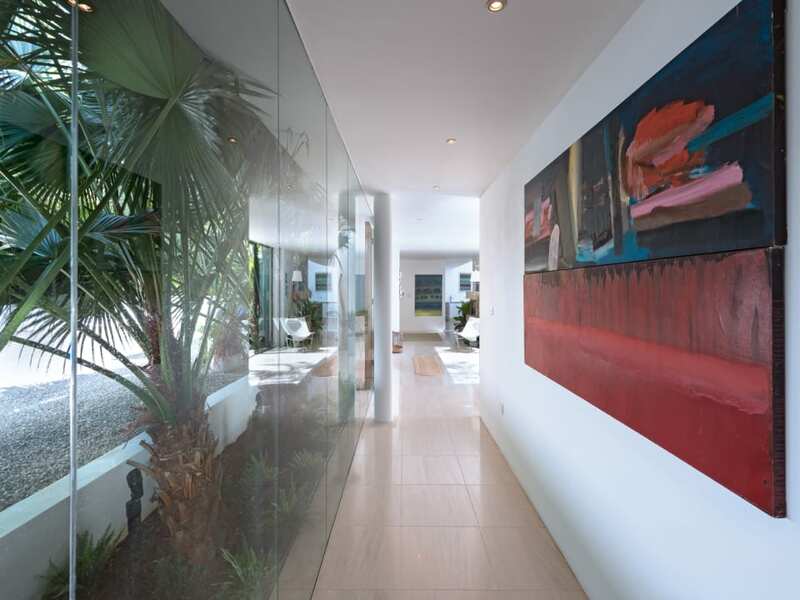 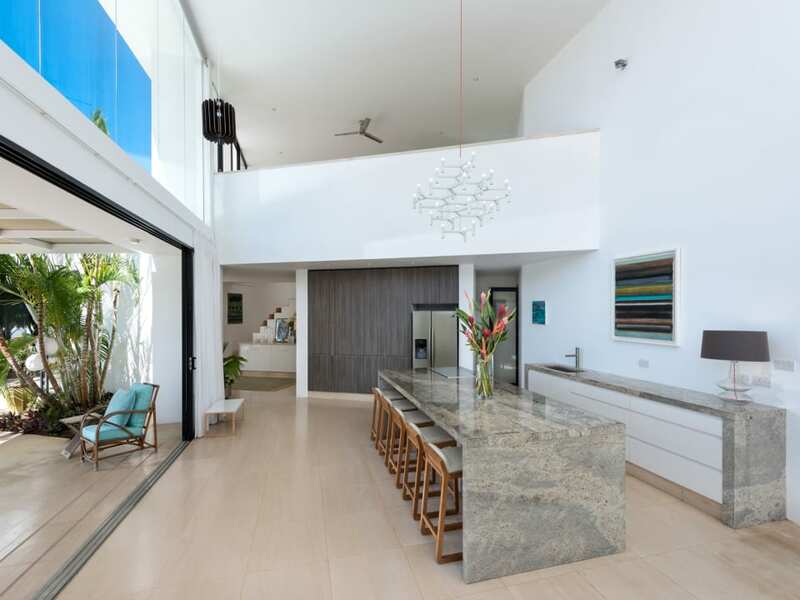 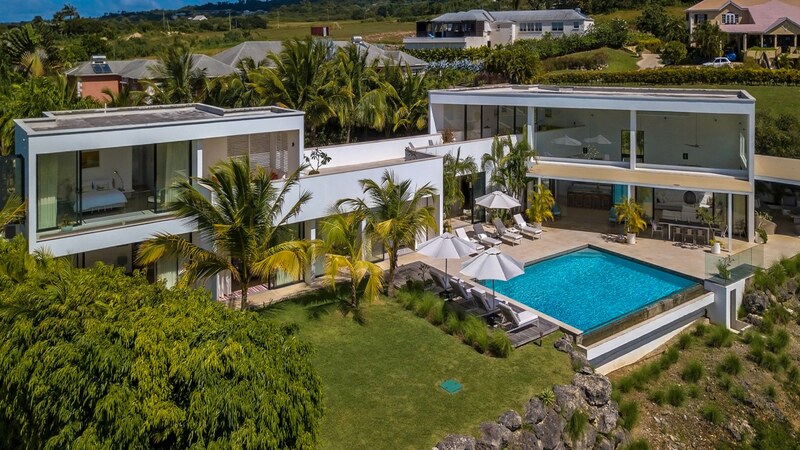 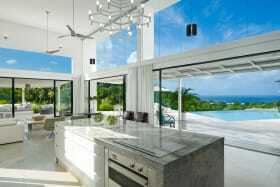 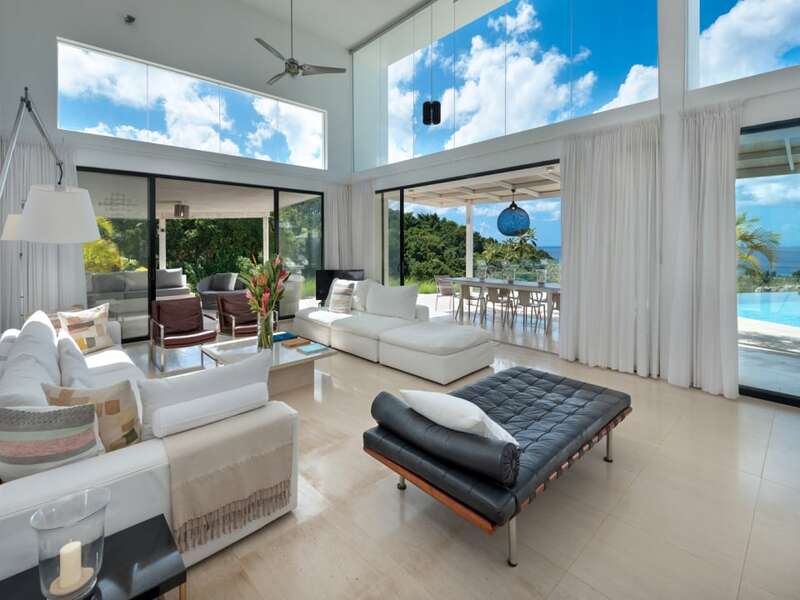 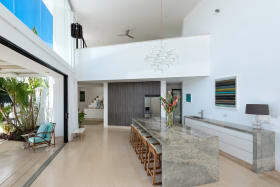 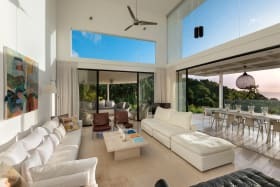 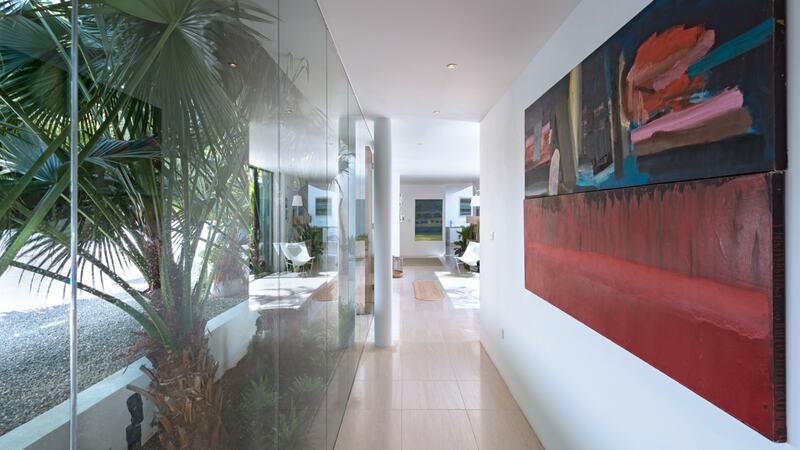 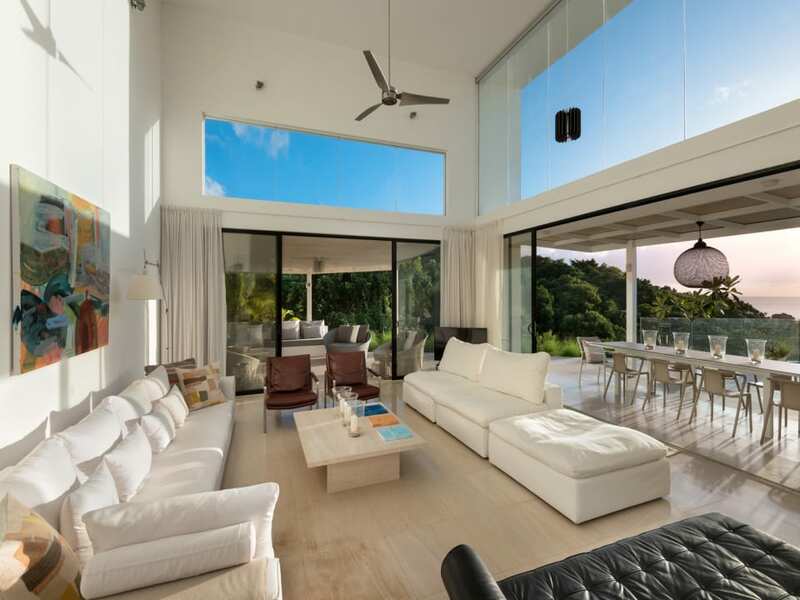 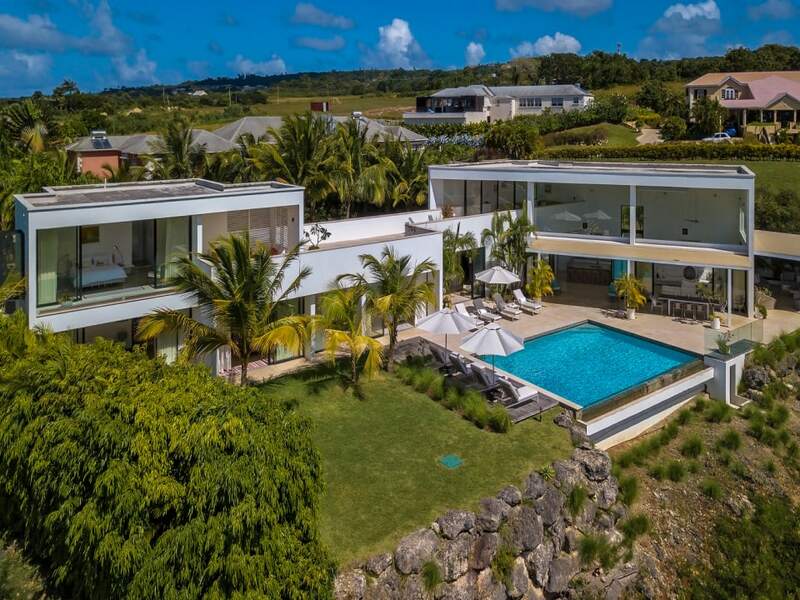 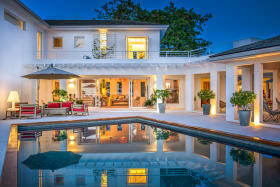 The dramatic double-height living space maximizes the stunning views which extend beyond the outdoor terraces and pool across a mahogany tree-filled gully to the Caribbean Sea. 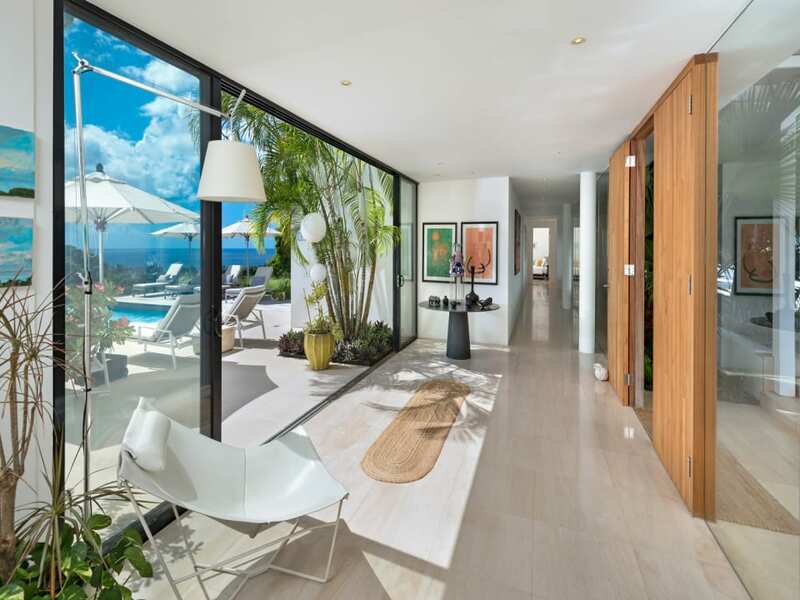 In addition to the ground-level terraces and 32 x 27 ft. pool there is a large roof terrace and mezzanine-level study offering stunning views of the West Coast. 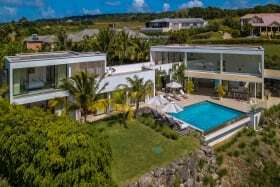 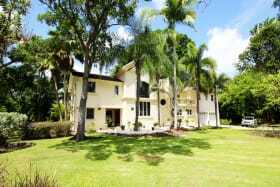 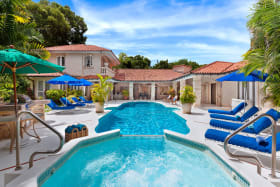 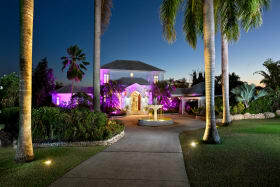 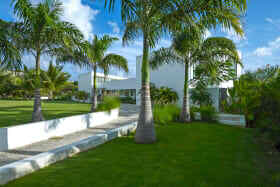 The villa is surrounded by a half-acre of gardens featuring indigenous palms, lilies, bougainvillea and many flowering shrubs. 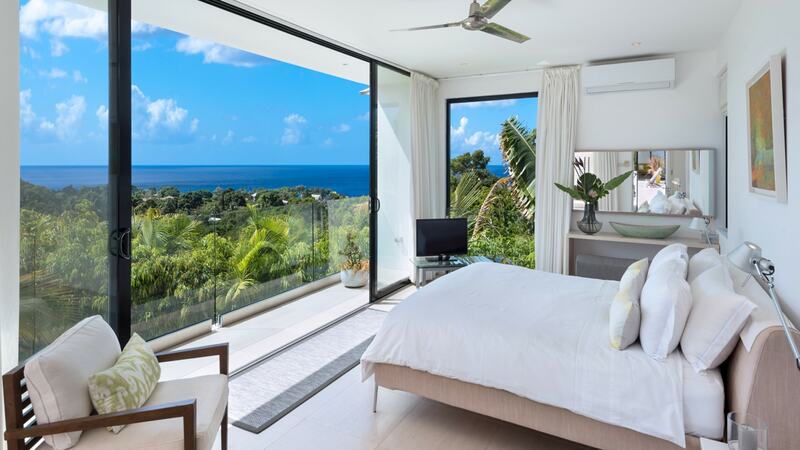 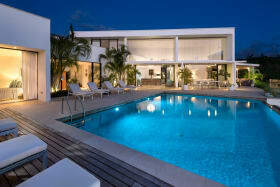 Atelier House has 4 spacious bedrooms. 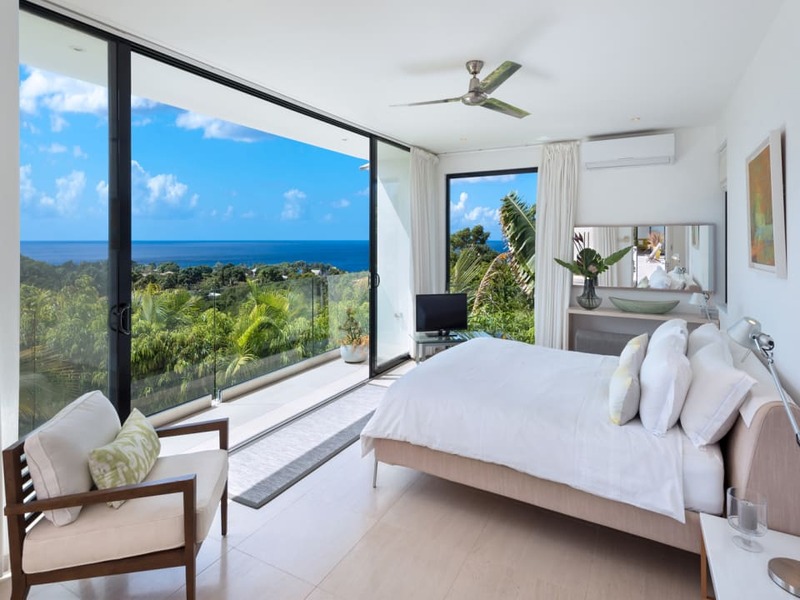 The upstairs master suite has a glazed balcony with views over the sea and a covered outdoor terrace for relaxing; the en-suite bathroom features separate bath and shower facilities. 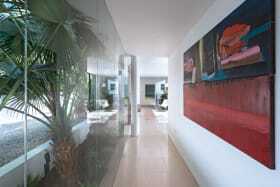 The 3 guest bedrooms are all located on the ground floor. 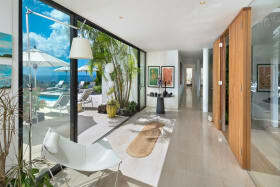 The en suite guest bedroom features an enclosed outdoor shower, while the 2 additional guest bedrooms share a bathroom.